Howard Hughes Medical Institute (HHMI) scientists have created an extensive resource for studying pediatric cancers, which they are sharing widely to help accelerate research. Led by HHMI Investigator Michael Dyer at St. Jude Children's Research Hospital, the team grew cells from patient tumors in laboratory mice, and created nearly 100 models of 12 types of pediatric cancer. The researchers implanted the tumor cells into their organ of origin in the mice and carefully characterized them to ensure clinical relevance. Now, Dyer and his colleagues are making samples freely available to the scientific community through the Childhood Solid Tumor Network. Researchers worldwide will also have access to data about the tumors' sensitivity to drugs, molecular profiles, and other features. "We want this data at the fingertips of clinicians, translational researchers, and basic scientists," Dyer says. "It's a great resource for people interested in moving new therapies forward." Dyer's team has already used the models to identify a new drug combo that may benefit patients with recurrent rhabdomyosarcoma, an aggressive childhood cancer that begins in muscles or other soft tissue. The team describes the new models and reports its findings August 30, 2017, in the journal Nature. According to the American Cancer Society, pediatric cancers represent less than one percent of all cancers diagnosed each year in the United States. Until now, scientists have had few resources available to study how they develop. Five years ago, Dyer and his colleagues set out to create laboratory models that would give researchers new tools to study these cancers. Their goal was to broadly represent the diversity of tumors that develop in children. "I knew I wanted to start with all pediatric solid tumors, not just pick one or two," Dyer says. Over the last five years, he and his colleagues obtained tumor samples from 168 patients, including tumors that arose when a patient's disease recurred after initial treatment. Cells from the tumor samples, which represented 15 types of pediatric cancers, were injected into mice and allowed to grow. A human tumor that is grown in a mouse or other animal is called a xenograft. It is most commonly implanted by injecting tumor cells just under the animal's skin. Instead, Dyer's team wanted to grow their tumors in the relevant tissues; these tumors are called orthotopic xenografts. The researchers knew that a tumor's development is influenced significantly by its microenvironment in the body. They figured out how to get tumor cells to their tissues of origin, and then implanted each patient tumor sample into multiple mice. Not all the tumors grew in the animals, but the team was able to establish 97 patient-derived xenografts representing 12 types of pediatric tumors. Dyer's team then compared the molecular and cellular features of the mouse tumors to those of the patient tumors from which they were derived. 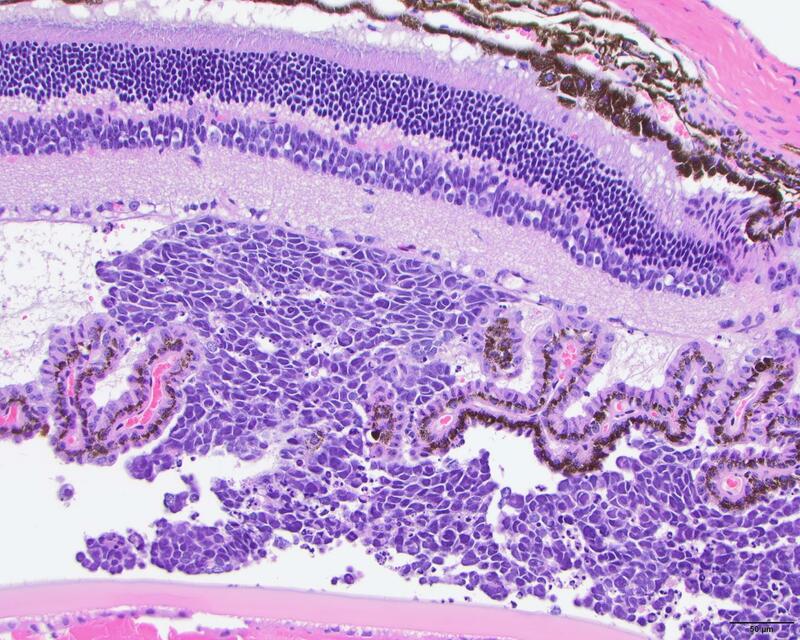 Many of the mouse tumors retained the complex makeup of the patient tumors, the researchers found. "We know that cancer isn't a homogeneous population of tumor cells. It's a mixture of different cells," Dyer says. "For at least some of the patients, we're able to capture that complexity." This is important, because a tumor's cellular composition can change dramatically after treatment, and the cells that persist largely determine whether a patient's cancer recurs, he says. "With the xenografts, we can for the first time model this complexity in the laboratory." Once the models were established, Dyer's team grew cells from 30 of the xenograft tumors in culture dishes and used them for large-scale drug screens. They determined each tumor's sensitivity to 156 drugs, producing more than a half million data points. The team discovered that the muscle cancer rhabdomyosarcoma is sensitive to a combination of three drugs, two of which – irinotecan and vincristine – are already widely used treatments for the disease. The third drug, AZD1775, is an inhibitor of the enzyme WEE1, a key regulator of cell cycle progression. Its safety when used in combination with irinotecan has recently been evaluated in pediatric patients in a phase I clinical trial. In tests in mice with rhabdomyosarcoma xenografts, the three-drug combo had a greater effect on tumor size and growth than the standard drug regimen. "There was a dramatic response pretty much across the board for these aggressive rhabdomyosarcoma patient-derived tumor samples," Dyer says. He is optimistic that the new drug combination will move into clinical trials quickly, and that it may bring real benefit to patients with this difficult-to-treat disease. Dyer's team has made the drug sensitivity data from the lab's screens available in a free, easy-to-use online database. "The faster and easier the data is to use, the easier it is for people to test hypotheses," he says. Likewise, Dyer is eager for the research community to use the new xenografts. Cells from each patient-derived tumor have been preserved for future studies and the team has already distributed samples to more than 130 labs worldwide. All the data that Dyer's team has collected with the models is available upon request including unpublished data. The team will continue to expand the resource, developing new xenografts and incorporating more tumors that represent rare subsets of pediatric cancers.